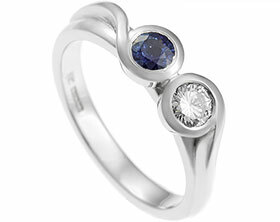 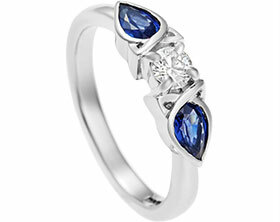 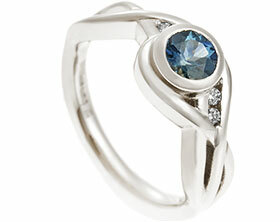 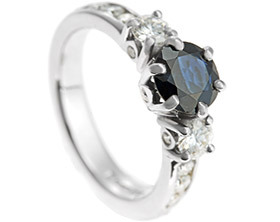 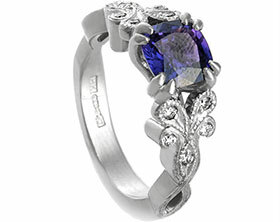 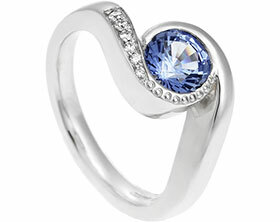 A stunning unique Platinum engagement ring with an overlaid twist detail. 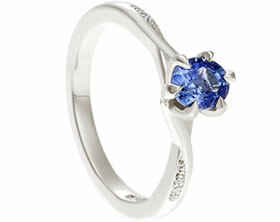 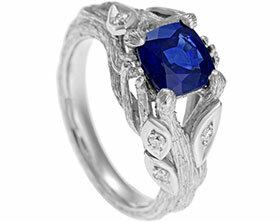 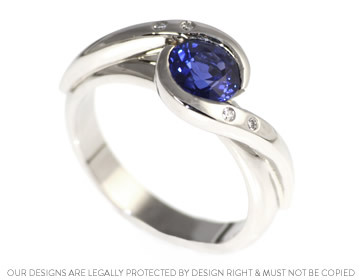 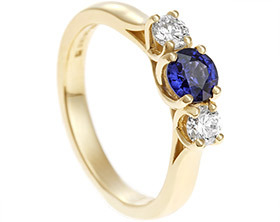 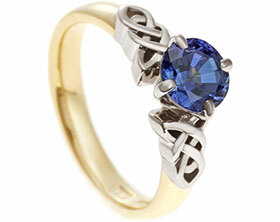 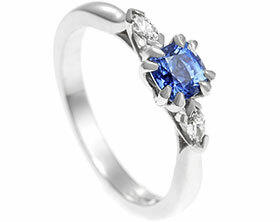 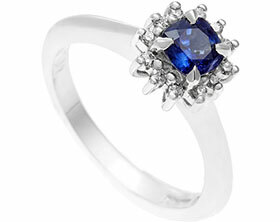 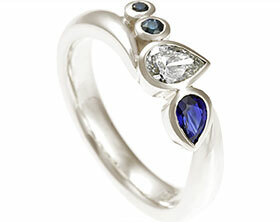 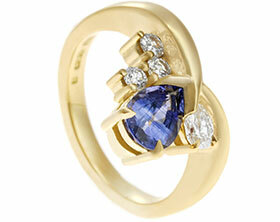 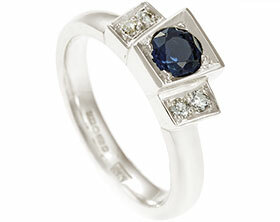 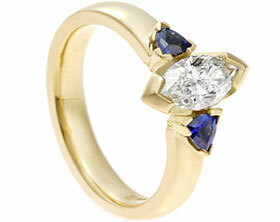 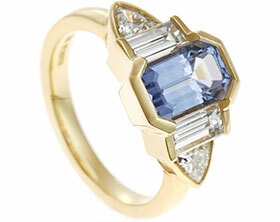 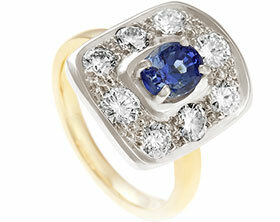 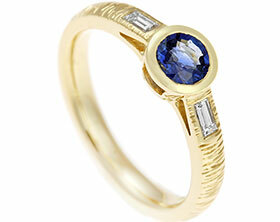 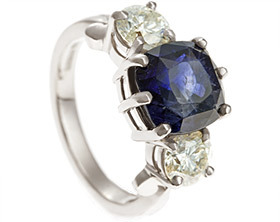 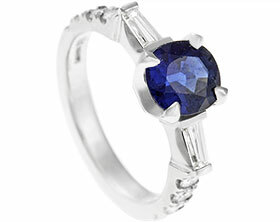 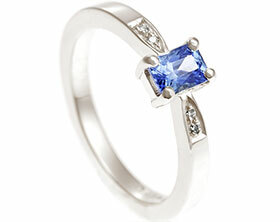 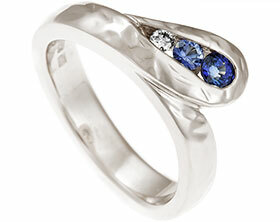 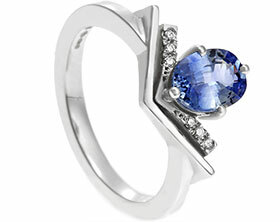 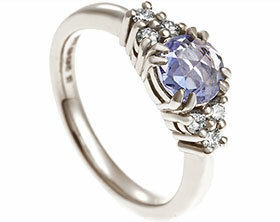 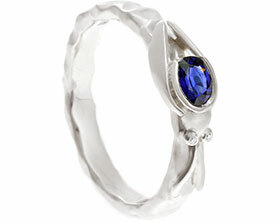 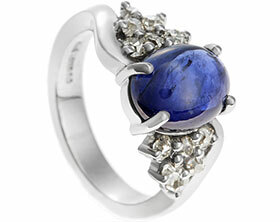 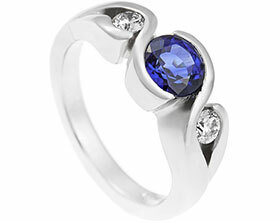 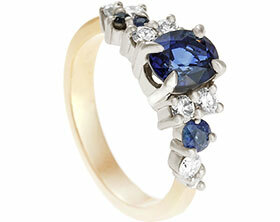 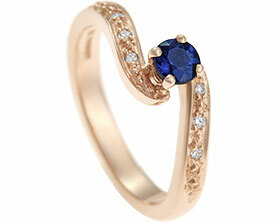 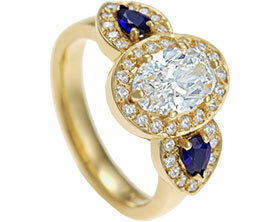 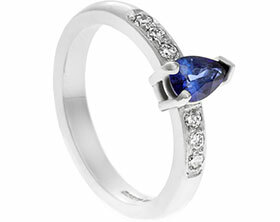 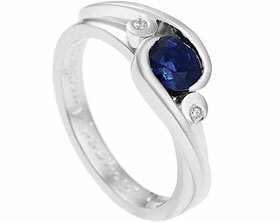 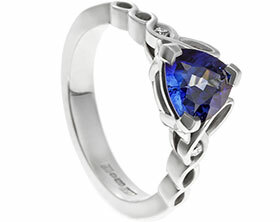 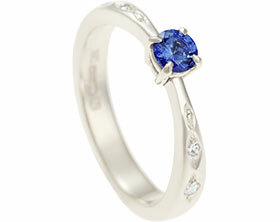 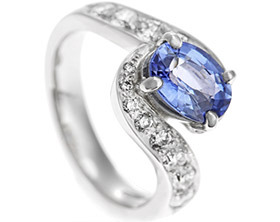 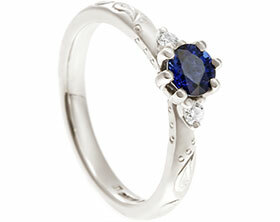 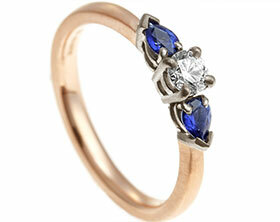 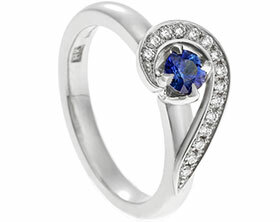 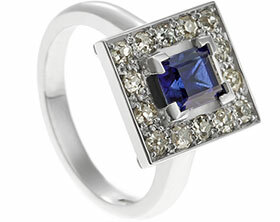 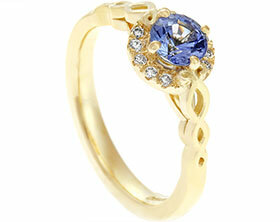 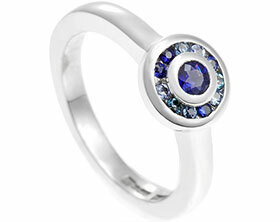 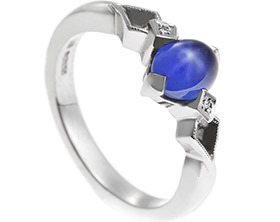 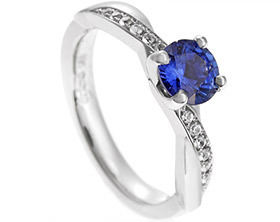 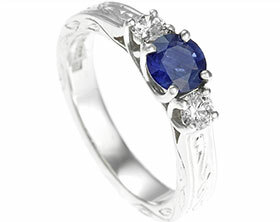 Held in the arms of this is a central 6mm (1.15ct)brilliant cut blue sapphire. 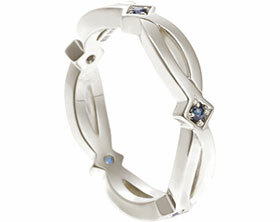 Four 1mm brilliant cut diamonds are invisibly set along the arms of the twists. 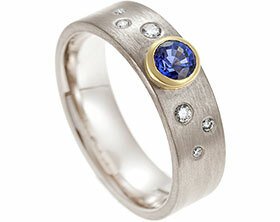 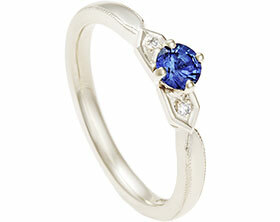 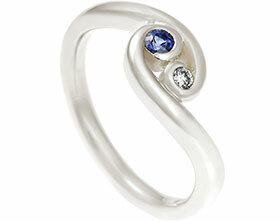 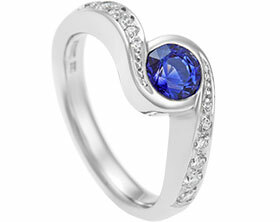 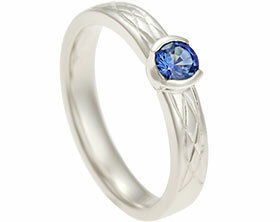 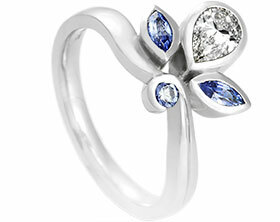 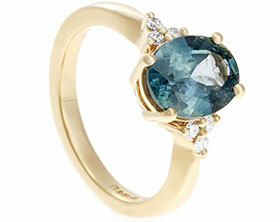 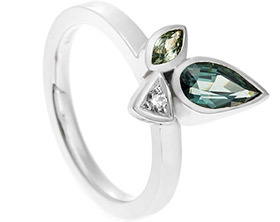 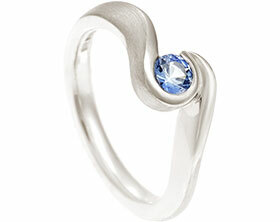 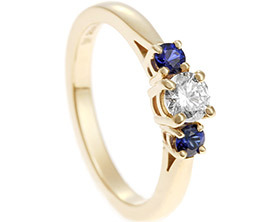 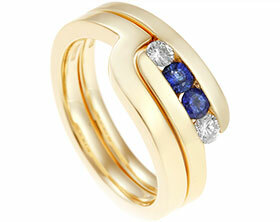 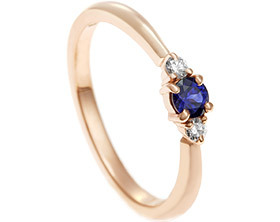 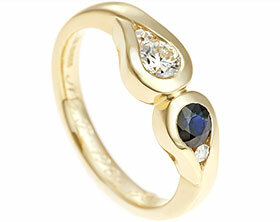 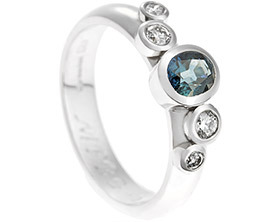 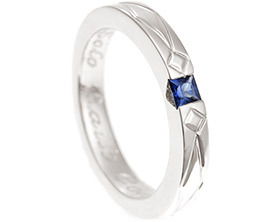 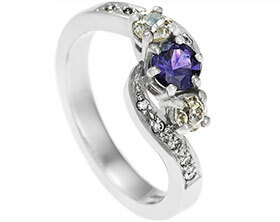 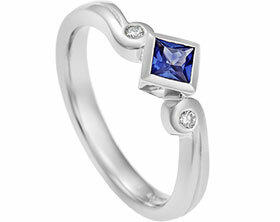 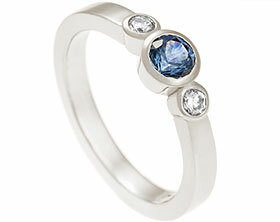 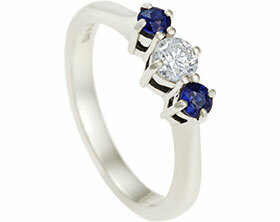 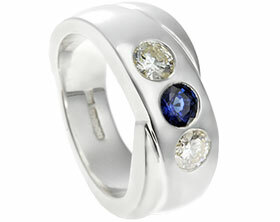 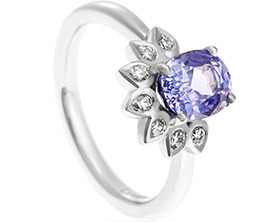 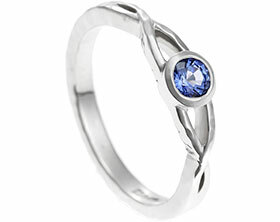 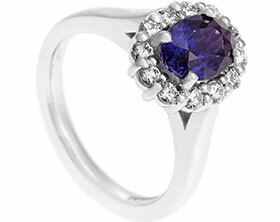 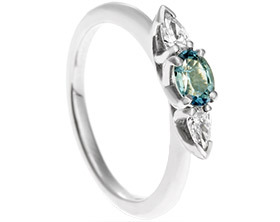 The band of the ring is 3mm wide with a d-shaped profile and a polished finish.